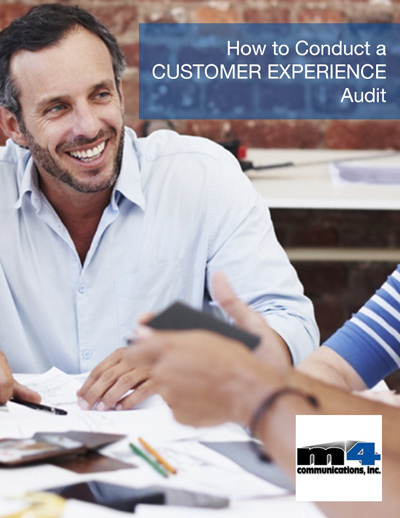 At M4 Communications, we think different about Marketing and Customer Experience. We provide our clients with end-to-end Digital Marketing and Customer Experience consulting solutions. With our vast experience working with Silicon Valley and global tech organizations, we know the pressure is on to show a quick profit and favorable customer lifetime value. And, the value must be clear at each stage of the customer’s journey. Organizations must be customer-centric to be able to achieve customer outcomes and drive growth. Those organizations that make the customer central to their operations, win. We customize programs unique to your business and market or update your current processes to help you be successful so you can pass on that success to your customers. We partner with you to develop a complete marketing strategy that’s right for you. And, we’ll help you conduct competitive analysis and market research to help you position your business in the right niche. As a result, you’ll be able to align your marketing activities to your business goals so you are generating the right outcomes that help set you up for success. We also help you determine your specific target markets, interview buyers and create buyer personas, ascertain buyer pains and needs, and based on this information, create buyer journey scenarios. We can also help you use insights that you derived from your Win-Loss Analysis program to identify further insights into your buyer demographic. And, we collaborate with you on your product planning and product marketing initiatives, including concept design, business case development, product definition, development, messaging and positioning, launch, beta program development, demo creation, testimonials, customer references, product reviews, sales training, and product support. To ensure success, you need to understand the key performance indicators (KPIs) that drive success for your business. We help you determine those KPIs that drive your growth, create a metrics plan, develop a metrics dashboard to help your monitor performance, and help you fine-tune your marketing engine so you are performing at an optimal level. Also, we can help you document your processes. And, we can help you create playbooks, manuals, and other materials to enable your employees to be successful. For buyers to trust you, you need to give them the tools to make intelligent decisions. They want to see a website and associated content that resonates with them. And, they want to see content that will help them be successful and achieve their desired outcomes. We help you conduct an audit of your current content, create a content marketing and overall content strategy, map appropriate content to specific phases of the buyer journey, create the right content, and distribute your content through your digital and physical channels to improve your reach, engagement, and conversion. We’ll also help you create a content style guide that will help you keep your look and feel and brand voice consistent. 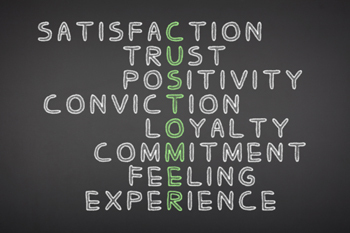 Consistency builds trust and customers buy from you because they trust you. A purposeful style guide is an essential tool for building and strengthening your brand identity. The result? Quicker conversions, improved customer lifetime value, and increased growth. We work with your key stakeholders first to audit your overall customer experience process by analyzing your customer and business processes to determine where opportunities exist for improvement. From this, we help you prioritize improvements that you will need to implement to improve your customer experience program. If you’re just starting out on developing a customer experience strategy, we help you create the vision, strategy, and tactics for transforming your organization into a customer-centric one. And, we help you create the strategy and execute on it. A customer journey map is vital to visualize a customer’s experience. It helps pinpoint gaps in processes to improve the overall customer experience. It gives you a single view of what your customer is experiencing. And, it encourages your entire organization to rally around creating the best customer experience to provide your customers. As a function of what you learned through gap analysis, customer interviews, and feedback at various customer touch points, we’ll help you turn these insights into action. We combine feedback data, customer interviews, personas, and moments of truth to define and create a customer journey map framework for you. Then we help you create and map content and other tools to specific touch points of the journey. The end result is an experience that meets and exceeds your customers’ expectations. And it will help them achieve their desired business outcomes. We help you conduct journey mapping workshops and we’ll invite customers in to help you validate your journey maps. We’ll help you take actionable insights your team has identified and feedback your customers have provided to help you improve your journey maps. As part of the journey mapping process, we will also help you create empathy maps, service blueprints, and process maps. How healthy is your CX program? Are you ahead? Behind? What needs to change? Our guide gives you the knowledge you need to find out. Acquiring customers is only a small part of the customer journey. Post-purchase is where growth occurs. Nurturing your customers is a continuous process. So, you want to ensure they have an experience they expect each and every time they interact with you. Your ultimate goal is for your customers to become lifetime brand advocates. Yet, there are nurturing phases your customers must go through to be able to become lifetime advocates. Thus, you must onboard and retain your customers before you can drive loyalty and then advocacy. We help you develop stronger onboarding, retention, loyalty, and advocacy programs by first segmenting your customers so you create more valuable customer connections and engagements, and diving deeper into analytics to assist you in improving your overall customer experience. In fact, we will help you determine those KPI’s that will help you achieve your customers’ desired business outcomes. And, we can help you create customer reference programs, advocacy programs, and customer advisory boards, to help drive advocacy within your organization. As a result, your customer lifetime value improves. In the 2013 Best Practices of the Best Marketers Research Report, Chief Marketing Officers who performed in the top quartile used Voice of Customer programs 68% more often than their lower-performing peers. Thus, organizations that want to be customer-centric must have some type of voice of the customer closed feedback loop program to be able to improve their customer experience and grow. We help you determine, from your customer journey map framework, the what’s, when’s, and how’s of collecting feedback from customers, sharing it with your organization, identifying actionable insights, implementing those insights back into your processes to enhance the overall customer experience, and following up with customers to update them on corrective actions taken. Win-Loss Analysis is a definitive process that determines why a sale was won or lost. It’s a key starting point to the customer experience. In addition, it’s an important vehicle for the sales team to understand how they can contribute to an organization’s customer experience initiatives. And it enables Sales to use the information they’ve learned to create more valuable interactions with prospects and customers. Win-Loss Analysis helps strengthen the sales process, drive better product management, and fine-tune the buyer journey. In fact, according to Gartner, Win-Loss Analysis can improve sales win rates by as much as 50%! We help you develop your Win-Loss strategy, develop your buyer and customer interview framework, interview customers, derive insights, and help you to implement these insights into your processes to improve your customer experience engine.